Upon first listening to Elise, listeners will hear Damon Mitchell‘s heartfelt grit when singing in his recent single. “Your dark demand that I do not share, you break the ice and put it on your bruise” showcases just some of the lyrics within the song that point towards this complicated character that Mitchell sings about. The tone of his angst and the background of Elise also showcase the dark qualities of this woman that we can speculate was an ex-girlfriend. Heavily inspired by mid 60s Beatles, listeners also hear a dash of 70s grunge and rock sounds within the song as well. If you think that you will be disappointed by this EP, this single track should turn that mindset around. In addition to this enticing song to set the groundwork, stand-out artists will make musical appearances on the EP. Featuring musicians such as Charlie McCoy (Bob Dylan, Simon & Garfunkel) and Tris Imboden (Chicago, Kenny Loggins), etc, Damon Mitchell delivers this album with all of his heart & soul. I started this blog back in college as a conduit for my musomania. It continues to live, albeit somewhat infrequently on my end – continued thanks to Toria whose posts truly carry the blog, and I anticipate the blog existing in whatever shape and form continually. I hope the content continues to be fresh and original, no matter its frequency, and that you get as much enjoyment reading as I do writing. That said, in all of my years writing for the blog, I never (at least to my knowledge) comprehensively brought politics or current events (outside of music) onto these pages. This was, and still is, purely intentional; this is a music blog through and through, and I want to keep it that way. That said, I would be averse not to mention the current transformations in the U.S., and the vitriolic reactions on both sides of the coin responding to these changes. I will not use this blog as a platform to lecture on my political beliefs, but I will say I do maintain a shaken temperament as a witness to these changes. Instead, I will do what I always promised to do on this blog, and use music to convey my thoughts. Bob Dylan’s “When The Ship Comes In” appeared on his third studio album, the politically charged The Times They Are A-Changin’, which Dylan released in 1964, buttressing his participation in the civil rights movement of the time. Yes, Dylan’s clear protest song on the album, the eponymous title track, may be more apropros for this post, but the third track on Side 2, “When the Ship Comes In” always held deeper significance for me, although the song was, according to Dylan’s biographer Clinton Heylin and musician Joan Baez, about how a hotel clerk refused Dylan admission to a hotel room because of his unkempt appearance. Dylan, who modeled the song after “Pirate Jenny”from Brecht and Weill’s Threepenny Opera (a big inspiration for The Doors as well), wrote about how he envisaged his enemies, “like Goliath” conquered. And like Goliath, they’ll be conquered. The ship finds the foes sleeping and in a soporific stupor, and despite the foes’ attempted rapprochement, they are “drownded in the tide” and conquered. That they are sleeping is fascinating, as it was Socrates (through Plato) who evinced that society needs a gadfly to pester it when it falls into a somnific and obstinate state so society will wake up and notice that the times are changing. When I look out to the horizon I can hear the slightest melody as it lingers in the ocean waiting once again for the sands to “roll out a carpet of gold” because the “whole wide world is watchin'” and waiting for the hour that the ship comes in. 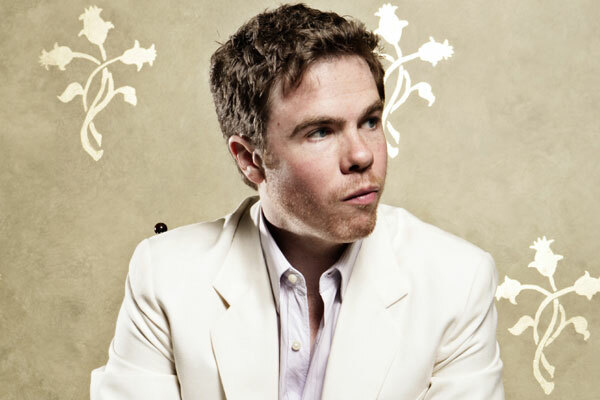 Josh Ritter is no stranger to the Music Court’s end-of-the-year countdown. In 2010 he placed #4 with his ode to Annabel Lee, “Another New World.” Readers of the Music Court will recognize that I do maintain a sort-of music reviewer crush on Mr. Ritter, but let me assure you that … well … ok, the selection is inevitably biased. Although I cautioned all readers that the selections were obviously biased, I did judge songs based on a metric, and did so as objectively as possible. Honestly, I did not want any repeat performers from past years and I ended up with (spoiler alert!) two, but I believe this is more of a testament to each artist/band’s potency and productivity than any unconscious subjectivity. Truth be told, Ritter absolutely deserved a spot on this year’s list. “New Lover” encompasses a rare blend of masterful, spiteful lyrics and deceptive acoustic pacifism. Don’t be fooled; Josh Ritter has constructed a subtly epic “f*ck you” to his old lover. Ritter released his seventh full-length studio album in March of this year. The album just continued his streak of excellent releases. Although some could aptly argue that all of his albums are excellent, Ritter hit his stride with The Animal Years and has since sailed through his Historical Conquests (his best album) and So Runs the World Away, where 2010’s #4 song appears. The Beast in Its Tracks, this year’s release, combines Ritter’s one-two punch – infectious acoustic instrumentation and witty, daedal lyrics that bounce effortlessly with the rhythm and make ink imprints in the mind of the listener. “New Lover” represents Ritter’s split with Dawn Landes. The song so well portrays the thoughts and feelings of a forlorn lover that it would actually be a disservice for me not to include some of my favorite lines in this post. I would literally be depriving you of lyrical mastery. Future lyricists of the world, check out Ritter’s words for inspiration. There are things I will not sing for the sting of sour notes. And she only looks like you when she’s in a certain light. I don’t need to read her mind. Burn. But he still can’t escape his former love, as described by the looking like you portion. Throughout the song, Ritter sings that he hopes that his ex has also found happiness, but one can almost tell in the song that there is some facetiousness in his vocalization, which throughout the song is subdued but noticeably sardonic and pained – almost Dylan-like. How does he end the song, though? Can give you what you need like I couldn’t seem to do. I’d be lying if I said that didn’t make me happy too. Tell me you didn’t smile. Tell me you haven’t felt this way. Ritter is human. You are human. He demonstrates the ineluctable post-breakup spite with such poise and finality. Just freaking perfect. A particularly creative video for Bob Dylan’s 1965 hit “Like a Rolling Stone” is still making its rounds today throughout several media outlets. The video, an interactive, 16-channel sampling of lip-synched versions of the song, is not only addictive and awesome, but also it symbolizes the transformation of the music video. Before we get more into the interactive video company that created the video, let’s talk about why this video is so cool. 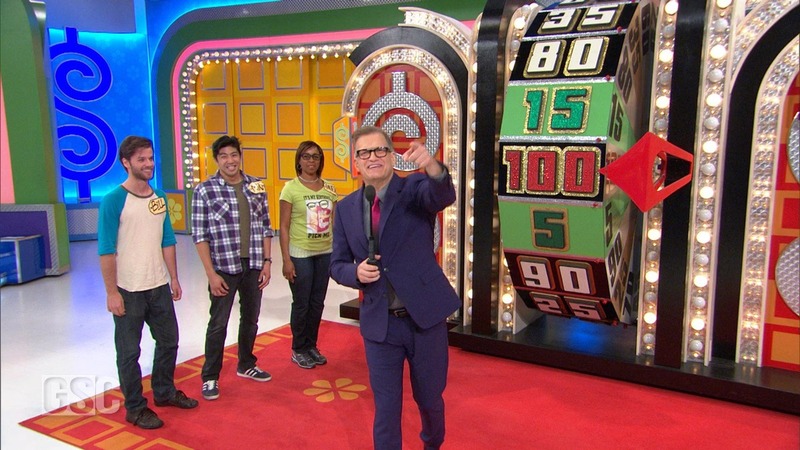 Even Drew Carey gets in on the act. 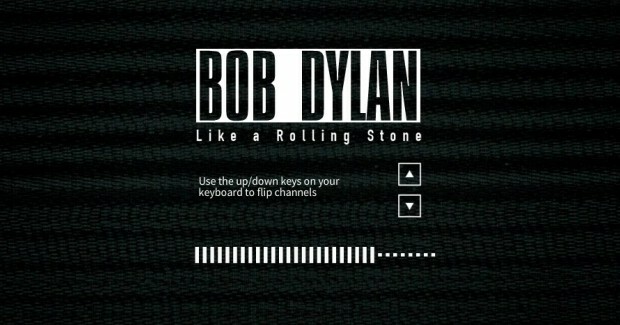 The video also demonstrates something fundamental about “Like a Rolling Stone” by Bob Dylan. The song, which is nearly 50 years old, is ranked by Rolling Stone as the greatest song of all time (no surprise … self-promotion – just kidding!) It has transcended time. The song is anthemic; it’s a true proclamation. It still maintains the same potency that it had in the 1960s. It is a song about loneliness and the loss of innocence. The themes are germane no matter the decade. Dylan’s piece works perfectly with the Interlude interactive video. This is not the first time at the rodeo for Interlude. On the website of the company, there are several examples of completed projects. Let’s focus on the music videos. Interlude created an interactive, “choose your own adventure” music video for Andy Grammer’s “Keep Your Head Up,” which you can view here. How do these interactive music videos impact the art of music videos? Well, since the advent of music videos and the consequent propagation on MTV (prior to the channel turning into a source of trashy television), music videos have become more creative and complex. When MTV turned away from music videos, YouTube picked up the slack and provided a format for the videos. The “music video” remained stagnant, though. Interlude’s interactive music videos provides a new generation of creative videos. Instead of providing a 3-4-minute story played to the song, viewers can now actively take part in the viewing/listening experience. This even goes so far as giving listeners an option to choose a cappella or band in the “Keep Your Head Up” video. Is this the new trend in music videos? I hope so. Mott the Hoople may forever be linked with their glam-rock anthem “All The Young Dudes,” but some of their best material was released before David Bowie produced their seminal album and provided them with their breakthrough hit. A month before the turn of the decade, Mott the Hoople released their eponymous first album and it helped garner the band a cult following in the UK and even the United States. The album, though, remains unrecognized, as does much of Mott the Hoople’s work prior to All The Young Dudes was released in 1972, and while this is understandable (despite the fact that the majority of the band’s seven albums was released prior to 1972) it is not defensible. 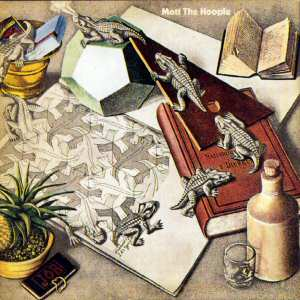 Mott the Hoople, released a month before the turn of the decade, features a diverse assortment of rock music that should achieve more recognition. For most, the story of Mott the Hoople starts in 1972 with the band in discord. After the trio of albums released after their debut received negative reviews and did not sell well, the band seriously considered splitting up. Glam-rock superstar, David Bowie, a fan of Mott the Hoople, pleaded to the band to not traverse the River Styx. He offered them “Suffragette City” and when Mott the Hoople declined, Bowie gave them “All the Young Dudes,” a song he penned, and proceeded to produce the album of the same name. The album was awesome (and well-received), and the band dove head first into the Glam rock genre. But let’s go back to the debut album. The group was ostensibly formed in 1966 (under a different name), but Mott the Hoople didn’t really start until Ian Hunter joined the band as lead singer/pianist. Mott the Hoople was recorded in a week, and the album features several covers, hard-rock hits, and, well, good Bob Dylan impersonations. Let me explain. It’s a three-minute rocker drenched in pedal-aided distortion and classic mid-70s flavor. Mid-70s flavor? I thought this album was released in 1969. It was. I’d argue that the album sounds more like a mid-70s, rock n’ roll-inspired compilation. This is, of course, where Mott the Hoople would end up prior to disbanding. In a sense, they inspired their later material, but in doing so I believe they helped inspire other bands. Listen to this. You can really hear two styles duking it out in “Rock and Roll Queen,” the fifth track on Mott the Hoople. On one side you can hear bits and pieces of the blues-inspired psychedelic rock that clearly influenced Mott the Hoople’s sound. This, though, is covered up by the conventional 70’s heavy blues sound. You could just as easily hear this piece recorded by Bad Company, which was founded in 1973. Hmm…I wonder why… Well, the song also features a killer guitar solo by Mick Ralphs. Ralphs left Mott the Hoople in 1973 to start a new supergroup with his friend Paul Rodgers. The group’s name was Bad Company. “Backsliding Fearlessly” is “The Times They Are A Changin.” Okay, it’s not exactly a Dylan song, but it certainly is an ode to Bob Dylan. It’s an excellent song, though; my favorite song on the album. It also represents why I love this album. There is such variety. It is a blend of fading 60s influences and the emerging powerful sound of 70s heavy rock. So, when we talk of Mott the Hoople, let it not just be about all the young dudes.